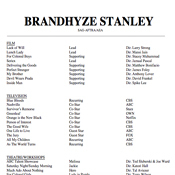 Brandhyze Stanley is fast becoming one of the most hardworking and creative of world-class actors. Arguably one-to-watch, she has been an in-demand and well respected talent within the industry, known for a host of memorable and relatable characters since arriving on the scene in recurring roles on Guiding Light and All My Children. 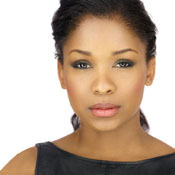 In the fall of 2016, Brandhyze starred as Rosalie Evans in Hallmark's much beloved and highly-watched holiday series, Christmas in Homestead. The film follows one of the most famous actresses in the world to a Christmas-obsessed town in Iowa, as she sets out to shoot a holiday-themed movie. Romance soon brews between the actress and a local innkeeper, as Evans (her ever-vigilant best friend and publicist) does her best to guard her heart -- though her concern turns out to be unwarranted. 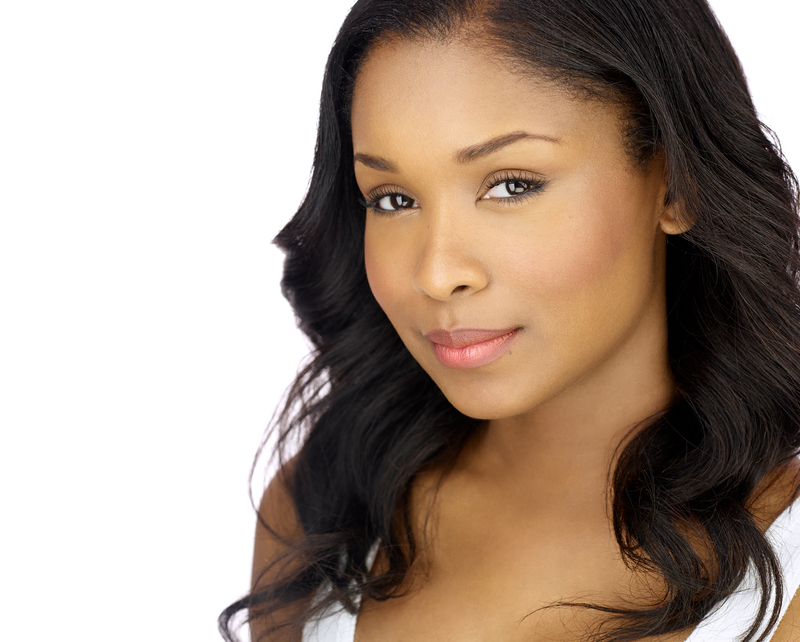 Currently recurring in Blue Bloods -- the hit CBS crime drama starring Tom Selleck and Donnie Wahlberg -- Brandhyze plays Grace Michaels, an intellectual and assertive reporter who prides herself on getting the story no one matter whose toes she steps on in the process. Ever working, Brandhyze will next be seen in the reprisal of her role as Jayne Cook in the standout prison Netflix series, Orange is the New Black. Cook is a desperate inmate whose life is going off the rails, as she attempts to circumvent the system in order to feed her needs. 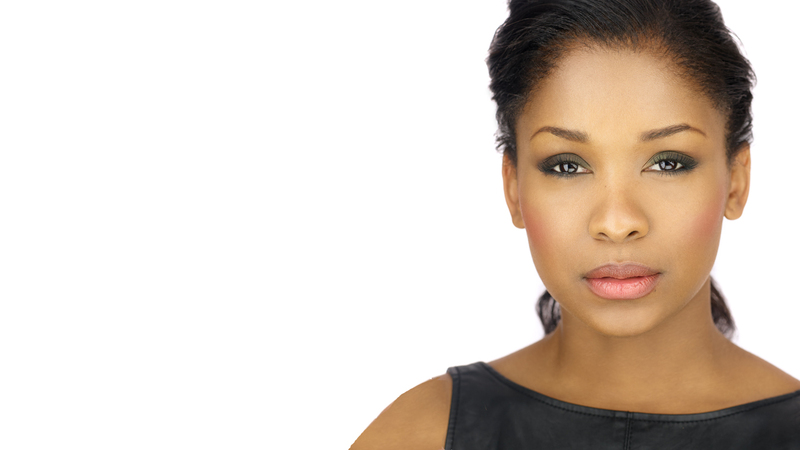 Not one to rest on her laurels, Brandhyze continues to hone her craft. She is a graduate of the Maggie Flanigan Conservatory, and also a 2x scholarship recipient of the Upright Citizen's Brigade (UCB). 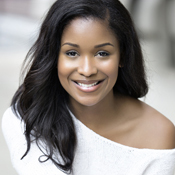 She has successfully worked through the theater’s core improv program, and was also selected by the ABC network as 1 of 12 participants (out of 7,500 candidates) to be part of their annual Talent Showcase – a competition that aims to discover and champion high-potential actors (former candidates include Lupita Nyong’o and Cornelius Smith (Scandal). Click icon below to download. I really appreciated my session with you. I took a course with another instructor and it was decent but I found an hour with you to be more helpful. I had such a phenomenal time in your hosting class! This class reaffirmed my love for hosting and being on-camera. Every single Monday, I was pumped to go to class! Thank you so much for all the lessons and resources you provided us. You were always so supportive and sweet. I can’t thank you enough for being part of my crazy journey in riding a career I love and fulfilling my dreams. Thanks Brandhyze for the teleprompter practice! I know this was a reason I booked [the job] because the client said many came in not being comfortable with it and she was so happy that I was! June - Brandhyze stars as Jayne Cook in Orange is the New Black.